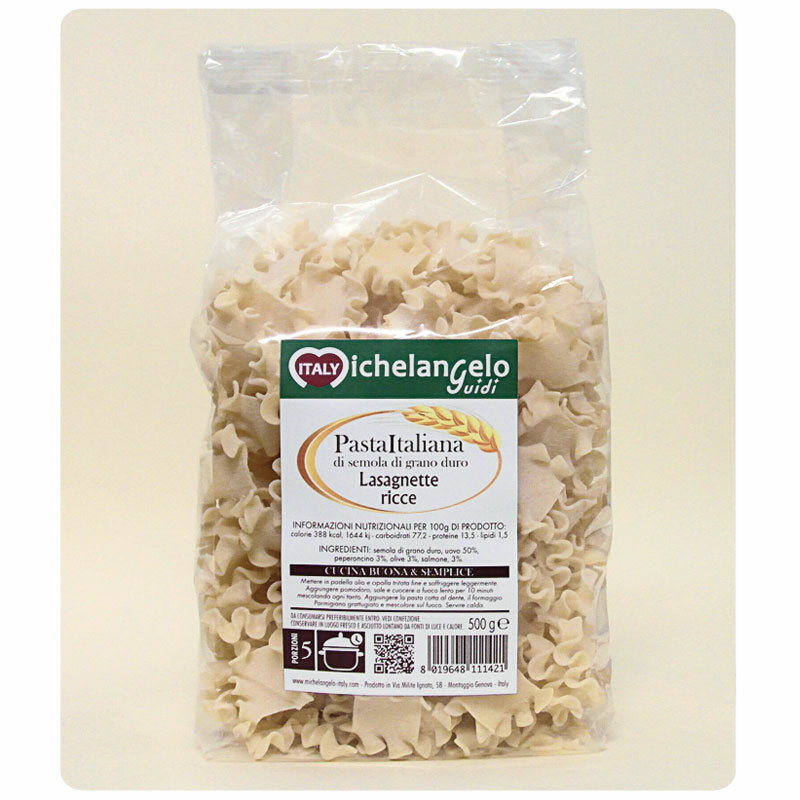 LASAGNETTE RICCE (code 32) Retail - G.d.o. 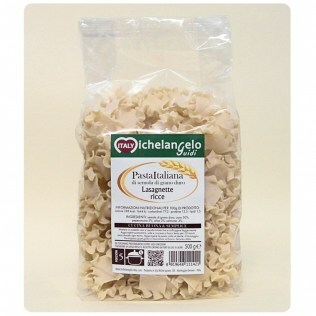 DESCRIPTION: All our dry pasta is made upholding the artisan tradition passed on by old master pasta-makers , which contributed to make the tradition of Italian pasta popular worldwide: drying at a very low temperature for highly prolonged periods of time, use of durum wheat flour of excellent quality. COOKING TIME: 7 minutes (“al dente” as we love it in Italy). A few more minutes for those who like it a little softer.